Setting a new standard for sound quality, size efficiency, and price, SC48 packs all I/O, digital signal processing, and mixing control into a single compact console. The fully integrated system enables you to travel light and bring the unprecedented sound quality and creativity of Avid live sound systems to any event, or easily replace an analog console by simply dropping SC48 right into the existing cabling system. 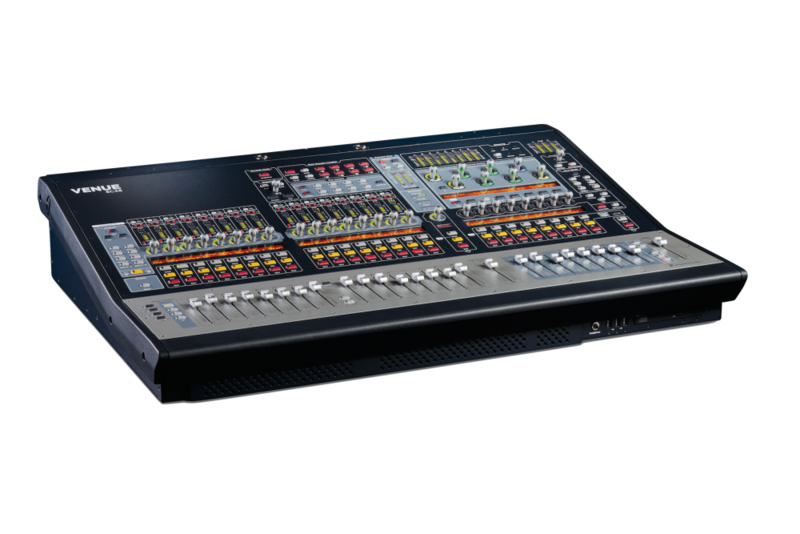 With its versatility and small footprint, you can connect stage mics and other inputs and outputs directly to the console, integrate Pro Tools recording and playback for Virtual Soundcheck and show archiving, control all software functions remotely over a wired or wireless Ethernet device, and mix front-of-house and monitors using studio-quality processing.